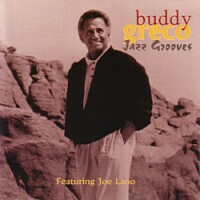 Over the years, Buddy Greco's talent has sold millions of albums and he has appeared in clubs, concert halls, radio and television shows throughout the world. In the succeeding decades after the heady days of The Three Sharps, Buddy has weathered changing times and musical tastes to find a worldwide resurgence of interest in classic popular songs from the golden era of American music. 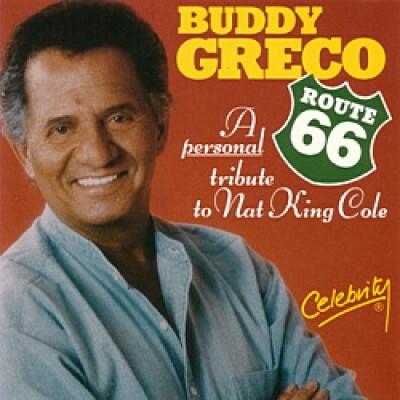 All of which leads us here to Buddy's sixty second album- Route 66, A personal tribute to Nat King Cole, who Buddy first met when they were both working in Las Vegas. The guitar chair was central to Buddy's plans in recording this album and he had no hesitation in opting for his fellow Philadelphian, the immensely talented Joe Lano. the trio format is completed by the equally talented Bob Sachs on bass. Also heard on some tracks is swinging drummer Tommy Check.